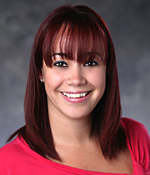 Yurena joined The Children's Trust in October 2007 as an administrative assistant. Ms. Driggs worked previously as a legal secretary for the law firm of Sadow & Gorowitz P.A., and prior to that with Gus Machado Ford as a receptionist. She earned her Associate's Degree in Nursing from Miami-Dade College.